Which kind of radio controlled sailboat I should buy? This is the most common question for a beginner in rc sailing. And the options are really many. It is just to take a look in the kit produced boats of this website to check that. In order to answer that question, you should first make a few other inquiries. The most important one is probably why do I want an rc sailboat? You can answer this question, basically, in three ways: (1) I want an rc sailboat because I think it is going to be beautiful in that empty space in my office; (2) I want because I intend to take part in competitions; or, (3) I want because I feel it is a good way get relaxed in the weekends, sailing alone in the pond near home. If you have chosen the last answer, it seems that you have a purpose for the sailboat (to help to relax and have fun on the weekends). However, I will try to convince you to review your choice. Actually, the third answer is typical of cases which the boats are used two or three times, during the excitement phase and then, never more. For those cases, doesn’t matter the model of sailboat you buy. You can choose the most beautiful or the cheapest one. The truth is that sailing an rc sailboat demands some work. Every time you go to the pond you will need to transport the boat (which can be big and difficult to carry), to set up the rudder, the keel and the mast and sometimes even getting wet. If you don’t get an incentive, you will stop sailing. And sailing alone, you probably won't get an incentive. So, if you chose the third answer, you have a good idea about the objective of rc sailing (that is to provide enjoyment for the skipper), but you have incurred in the mistake of sailing alone. Actually, you should always look for the friendship of other sailors. I can say (by my own experience) that sailing alone is not much fun. This send us to a new and crucial question: "which type of rc sailboat people in my city have been sailing? " I know it's not always easy to find this answer. For many cities it could be “none”. The best thing to do is trying to contact the rc sailing organizations in your country. They will be able to inform you about officially recognized classes for your region. If you have chosen the second answer for that our first question (I want to buy to compete), then you will have to select, inevitably, a boat that fits on one of these classes. Another strategy is to look directly for the rc sailors. 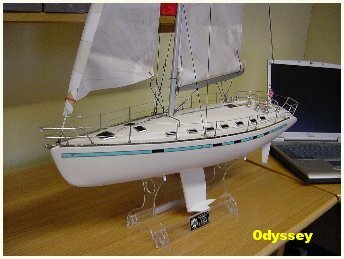 Model yacht clubs, rc model shops, yacht clubs or sailing federations are the most likely places to find them. It is important that you research before buying your first rc sailboat, so you can be sure that you are opting for the correct choice. Internet is a good way to do that. 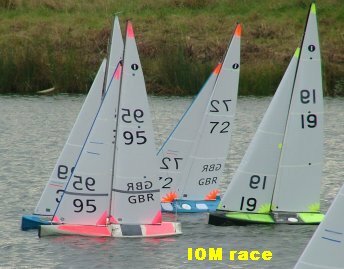 There are plenty of rc sailing associations websites around. After choosing the boat, an interesting (and cheap) option could be trying to build it yourself. You will find some designs for download on the plans section of this website and some tips on the technical section. Even if you are not really interested in racing, I would suggest you to buy or build boats similar in size to those sailed by your future sailor partners. It guarantees a similar performance among boats and you can enjoy by making unofficial races. To finish, almost all rc sailboats are sold without the radio system. It means that you will need to buy a two channel radio separately. Most of the two channel radios come with two standard servos. One of these servos will be used to control the rudder, while the other would be used to control the sails. The problem is that these standard servos have low torque and if your sailboat is big (in a general, bigger than 80 cm), the servo will not be able to pull the sails in average and strong winds. Thus, depending on the size of the sailboat you chose, be ready to spend a little more to buy a special sail servo, which has enough torque to handle the sails of the boat.